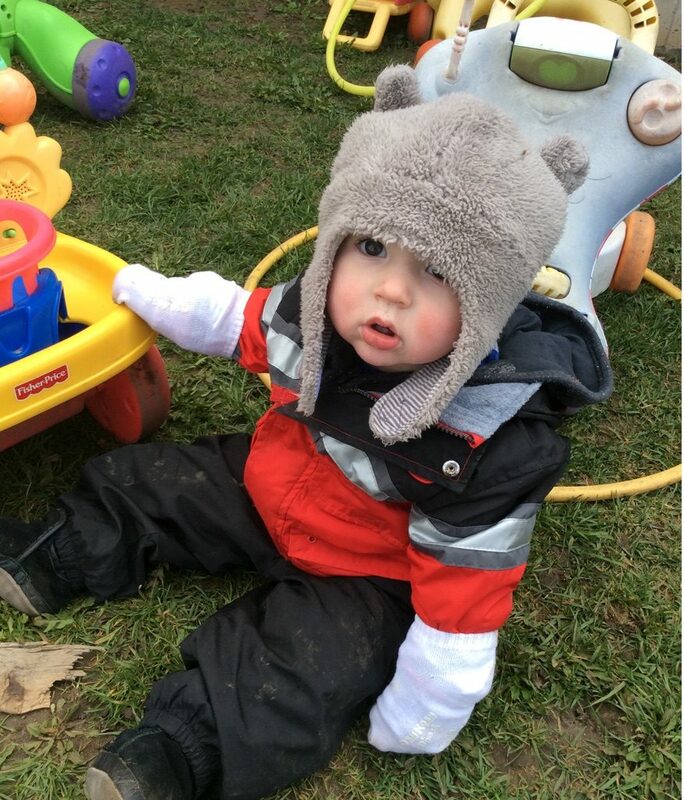 We believe in an environment that encourages curiosity, giving infants an opportunity to explore. Further, we believe every child deserves the chance to a safe and caring environment in which to grow and develop. We support and encourage our infants to be active and engaged learners who explore the world with body, mind and their senses. We understand that leaving your child for the first time in child care can be emotional. Our goal is to make the transition from home to child care as easy and comfortable as possible. We suggest that you and your little come in for a few visits before your child’s actual start date so you can get to know the staff, other children, and environment of the classroom. Once your child is in our care, we encourage you to call and touch base as often as needed or communicate electronically through our Tadpoles App. Our Infant Room is licensed for 10 children, ages 6 weeks – 18 months approximately. We have 3 teachers working with the children. 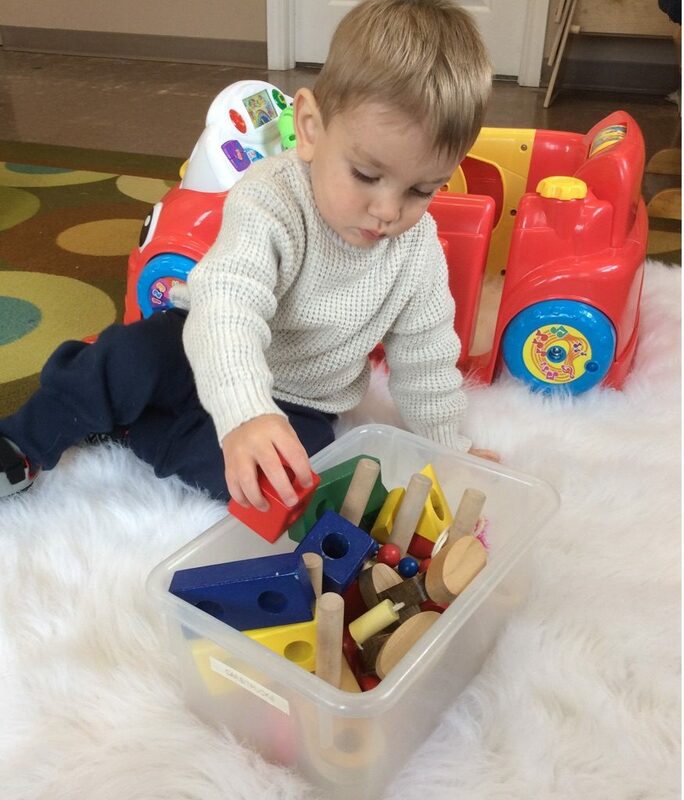 The infant room is responsive to children’s interests to create meaningful learning experiences. Our philosophy prioritizes active participation, relationship building, flexible and adaptable methods, inquiry and play-based learning. 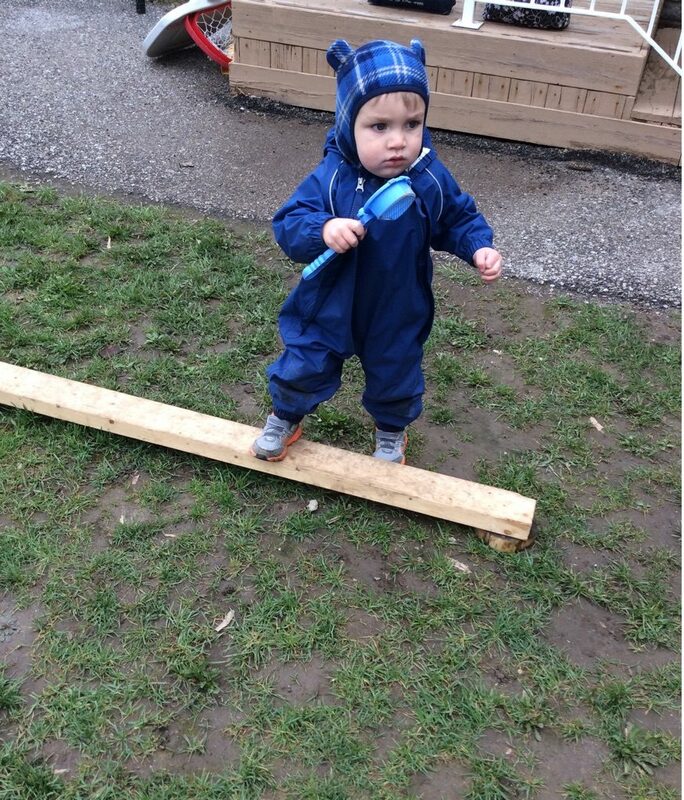 Further, children practice ways of learning and interacting with the world around them through play and inquiry. Children will then apply this knowledge with them throughout their lives. We provide a mid-morning and mid-afternoon snack and a hot lunch daily. We also provide homogenized milk and water for your child. Menus are posted in each classroom and outside of the kitchen. We serve whole grains, fresh fruits and veggies, lean meats and vegetarian meals too. We have a wonderful cook who prepares fresh from scratch meals and snacks daily. Parents are only required to bring baby food and formula if required. We believe that diaper changes are an excellent opportunity for one on one interaction with your child. The teachers will sing, play and talk with your child while changing his/her diaper. We follow all public health guidelines for diaper changing routines. The diaper change area is disinfected after every diaper change and the teacher will wash her hands after every change. Parents are required to bring in diapers and wipes for their child. We accept and encourage the use of cloth diapers. We understand that infants create their own daily routines and schedules, therefore, they do not have a set sleep time while at the Centre. Each infant has their own crib in a separate sleep room that they are able to use at any time during the day. We supply the crib sheets, but please ensure that your child has a blanket for their bed. We wash the sheets and blanket here weekly or more often if needed. Staff will use implement the same sleep techniques as used at home i.e. with pacifier, rocked, etc. 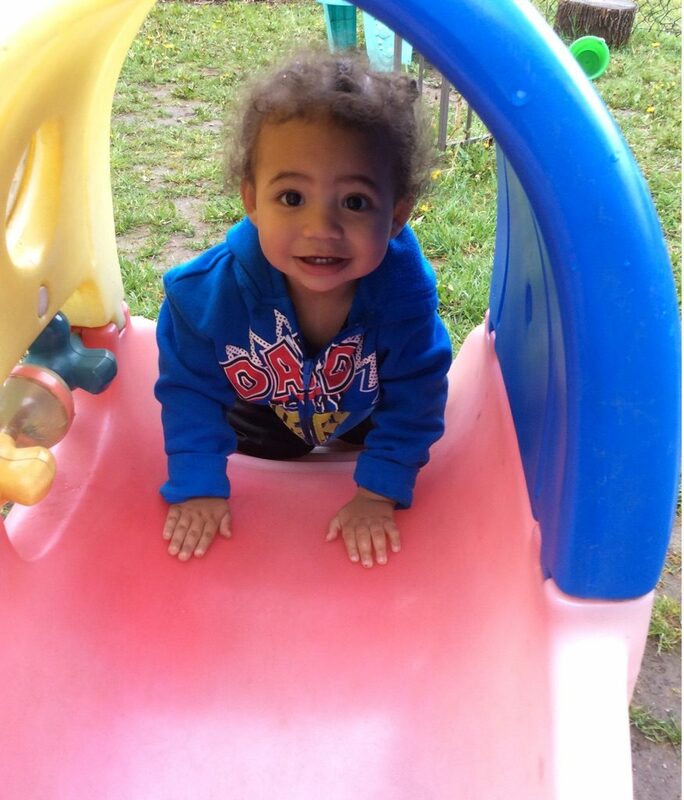 Your child will be moving to the Jr. Toddler room when he/she is between 16-18 months and walking independently. To help make the transition as easy as possible for your child, he/she will visit the Jr. Toddler room multiple times to get familiar with their new surroundings and teachers.